Sometimes a car comes along that makes you swoon. Jaguar is more than just a car, it’s a symbol of luxury and breeding. Its men in tuxes and girls in Capri pants. Its diamonds, cigars and martinis. Brand awareness is one problem Jaguar doesn’t have. May I make a confession: I love Jaguar and always have, even in its darkest days. One of the boys at school had an uber-cool dad who was a big cheese in the army. Shaun’s dad was a major in the bomb disposal unit. With that high-pressure job comes an intense need for an outlet. His big old high-set Queenslander had masses of space to indulge his other passion, cars. It was where I saw my first Citroën DS, my first Dodge Phoenix, and the uber-cool Jaguar E-Type. His dad “gave” the E-Type to us for a drive to the Gold Coast, or at least that was the story I was told. It wasn’t that easy to drive. It was like the California Spyder scene in Ferris Bueller’s Day Off. His dad said “drive it like you stole it” and waved as we went down the drive. I’ll never know what he really thought. The experience was always going to stick with me. It started raining torrentially on the way home, so of course the E-Type came over all British. Water flooded through the vents into the passenger’s foot well which needed bailing out. The Lucas electrics became even moodier and the air conditioning stopped working. None of it mattered. In fact, my love only deepened. That same year I drove a 420G, and a then-new Series III Sovereign XJ12. The next year I then dated an XJS which spent far more time in the workshop than it did with me. The intervening years have seen models of slightly suspect reliability and vicious fuel consumption and apart from the XJ40, all have been stunners. Some say the XJS replaced the E-type but that it never had the same allure. Others say that’s rubbish, and it is the XK which was the spiritual successor to the E-Type. Sitting in any of those same cars today elects exactly the same feelings. Unlike any other brand I can think of, the Jags just get better with age. What do you think when you see an vintage Jaguar? As wonderful as those models were, the real spiritual successor to the lithe E-Type is the cutting edge F-Type. One of the things they have in common they are both works of art whether moving or not. Aficionados were afraid that when Ford bought JLR (Jaguar Land-Rover) there would be awful American junk masquerading as classic British beauty, but apart from the hideous XJ40 they were wrong. It was the same story when Indian auto giant Tata then bought JLR off Ford, but Tata has been Jaguar’s saviour. 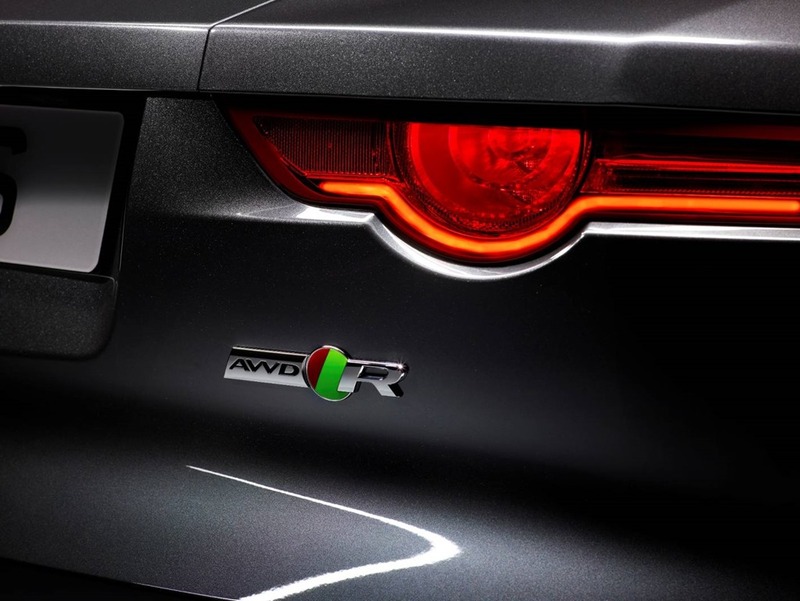 Tata supplied money to develop new models, and JLR was allowed to go in a new direction. The old shape appealed to old buyers who were becoming fewer and fewer as years rolled by. Starting with the XF, and the gorgeous XJ, the F-Type and XE soon followed. Jaguar has now revealed its F-Pace SUV because every brand now seems to need an SUV. 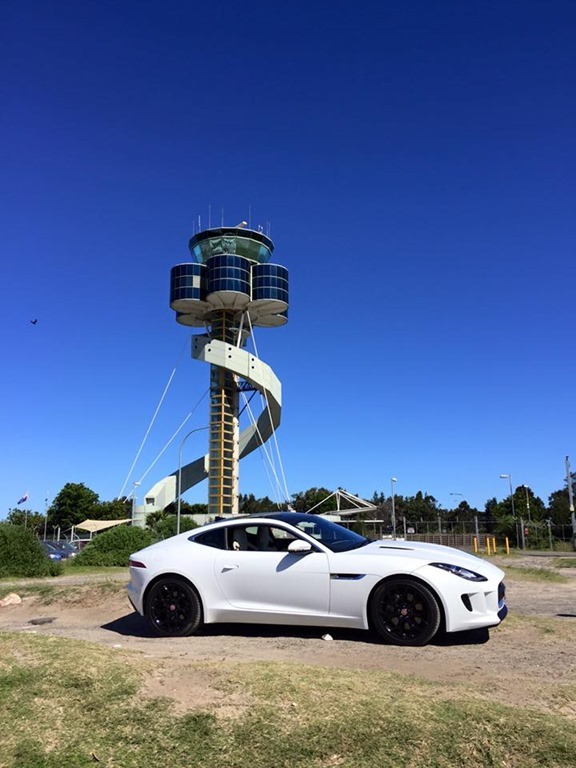 We drove the slightly mental F-Type R last year and loved it. You can read about it here. We loved its instant gratification and primal magnetism. As sensational as it was, something occurred to me: what if you didn’t want the constant threat of heart attack-inducing adrenalin? Those who want something slightly less insane can opt for a supercharged V6 coupe in either a 250kw/450Nm or 280kw/460Nm S model. They sound sublime especially with the Sport Mode opening valves for extra exhaust noise. The manual is slick with a clutch that has just the right amount of feel. The coupe is as easy to drive as your mum’s hatch, but has the surgical precision of a laser. The engine is as sweet as a nut punctuated by the occasional subtle nuance of a whirring supercharger. As always, the manual is my pic of shifters. By nature, the beauty of a manual gearbox makes the driver part of the machine itself, not just an on-looker pressing an accelerator and steering a wheel. You feel like you’re driving the car, not merely being a passenger. 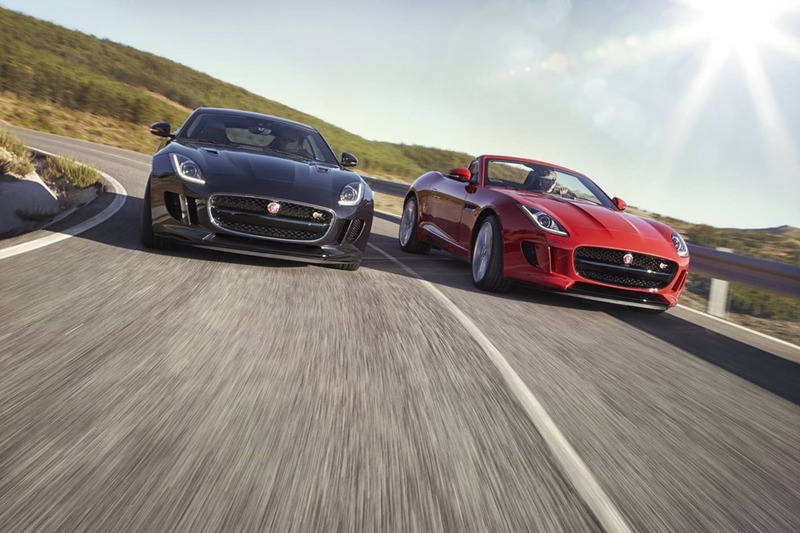 The F-Type and its driver are as one. The cabin is compact so everything is within reach, nothing goes to waste. The body is delicious with perfect proportions. Beneath that long forward-opening bonnet is a forced induction V6 petrol engine with an output at least 50kw more powerful than the V12 of the E-Type. The pert rear end sweeps dramatically upwards in a nod to the E-Type forbear. It’s got a hatch that opens upwards with the help of an electric motor. Everywhere you look you see references to the charismatic E-Type. The cargo space is snug. Much has been made of the fact that you don’t get a spare unless you ask for it. If you do, you get a space saver tyre which takes almost all of the boot. There is still room for shopping or loosely packed overnight bags, but if you want take the optional fitted 5-piece luggage set, the spare has to stay at home. If you don’t order your car with the spare, you can’t have it fitted later. Either way you get a puncture kit and the promise of a little man who will come and help you if you get into a pickle while out and about. I’ve had little luck sealing tyres with puncture kits, but I’d be prepared to take the risk with the Jaguar. I’d get the optional tyre and leave it at home when I need to. Our coupe had the optional $6,900 Meridian speaker upgrade which comes with the older style interface head unit which is a bit of a shame. The sound is excellent with easy function even if it’s a little slow to respond. You’ll be too busy enjoying yourself to care too much about a user interface. The materials used on the interior feel and look top quality. There is aluminium and carbon fibre along with very soft leather and high end plastics on the dash and doors. Piano black makes an appearance on some surrounds which some will hate, but I think looks classy. 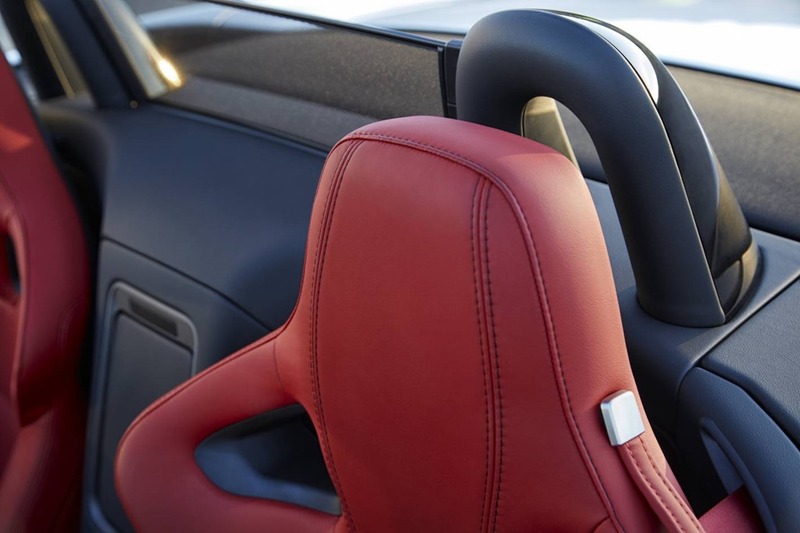 The electric seats have side bolster and lumbar adjustment for the support you’ll definitely need while cornering. It’s the little touches that make the experience all the more rewarding. There is a pleasing pop of the exhaust between gears. “Jaguar” is written on every conceivable surface including the vent adjusters, and something sure to please the tech geeks, there is a pop-up centre air vent. The Exterior door handles are works of artistic genius. 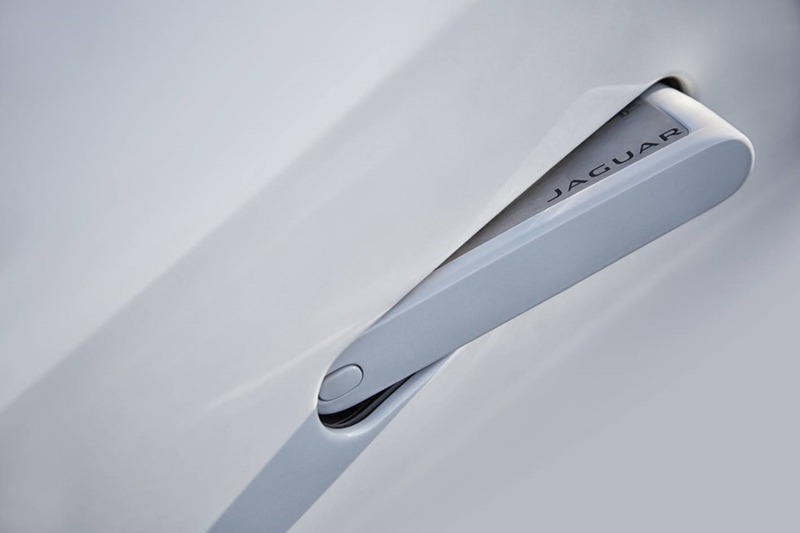 Most smart entry systems are a nondescript button mounted on the outside of a perfectly regular door handle, but not F-Type. It sits flush against the bodywork. Pressing the small button prompts the system to recognize the key in your pocket, unlock the doors and pop the rear end of the handle out. You can then slip your fingers into the and pull gently to open the door. Locking is as easy as closing the door and gently pressing the extended handle. It pops back while locking both doors, the fuel filler, and rear hatch. Of course you can amaze small children by using the key fob or inside door locks to extend the handles without touching them. The ride is firm, but not so harsh as to be uncomfortable. If you should find it too firm, you can adjust your attitude by taking a few very tight corners at speed, after which the ride will once again seem supper-dooper. Although everything is superb, it’s not all champers and canapés. 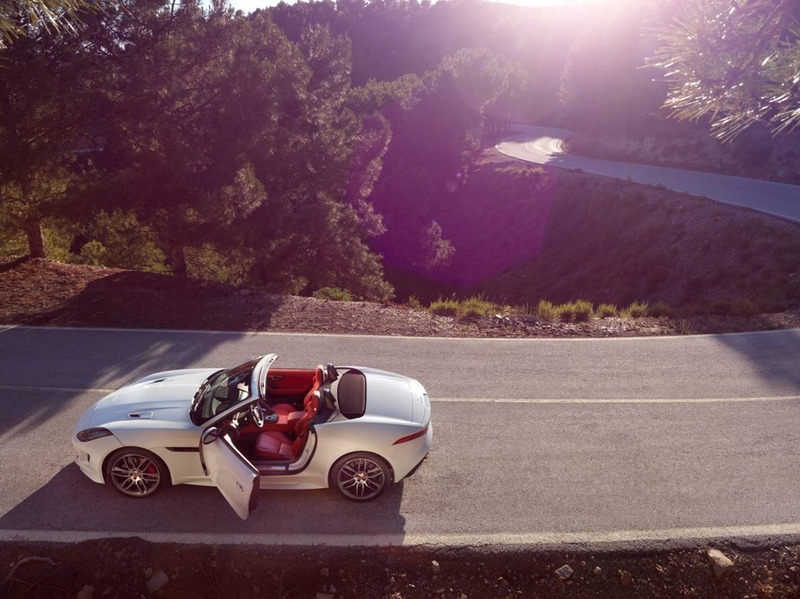 The F-Type can be a little difficult to get in and out of, but that’s something you quickly make peace with. Then there is the gear lever which is very close to the switchgear on the centre stack. Changing gears can result in accidently turning off the air conditioning if your fingers are not tightly gripped on the selector. Annoyingly, there are few spaces to store things inside the cabin so a longer trip might need careful advanced planning. You get used to the peculiarities as you do with all cars. When you do, you’ll be looking for every excuse possible for slip behind the wheel and press the starter. The V8 R is blistering but don’t be fooled into thinking the humble V6 is a slug. The 250kw model will get you to 100 in 5.3 seconds, and 4.9 seconds for the 280kw engine which is fast and furious. 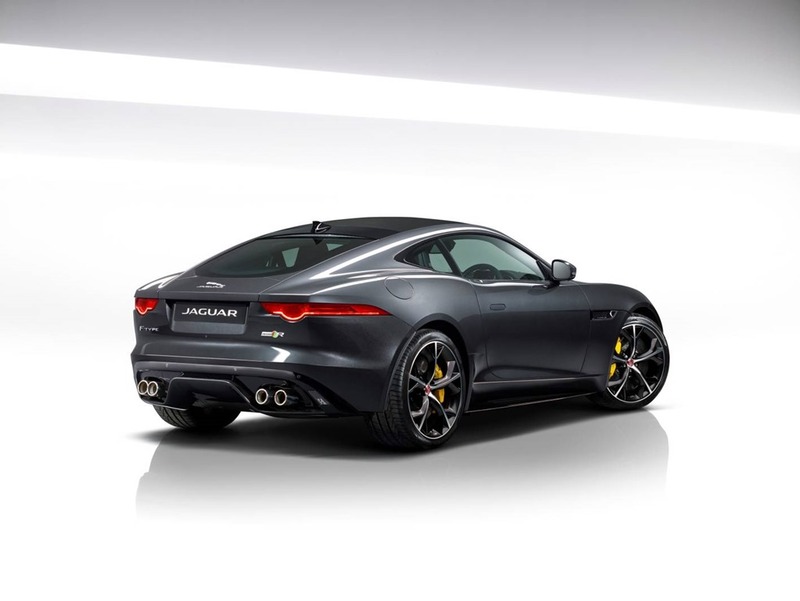 Remember the F-Type weighs between 1577kg and 1665kg, about the same as a Commodore. The coupe instantly changes direction with so little body that it feels almost supernatural. 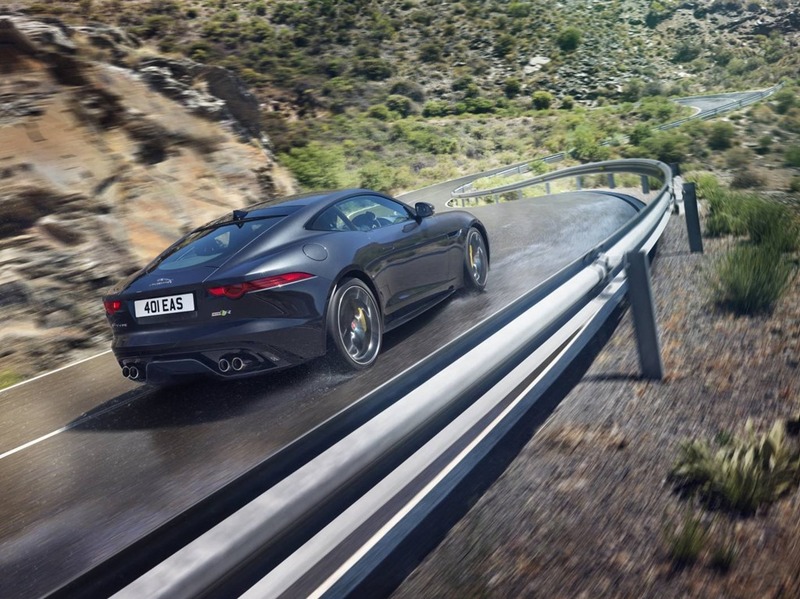 Most people won’t go near a track which is a shame as that’s where the F-Type would shine. You may well get the best out of a car like this by taking it by the scruff of the neck and driving on the ragged edge, but the humble commute is where it will spend most of its time. Just sitting in the Jag makes you smile because it makes you feel so good. 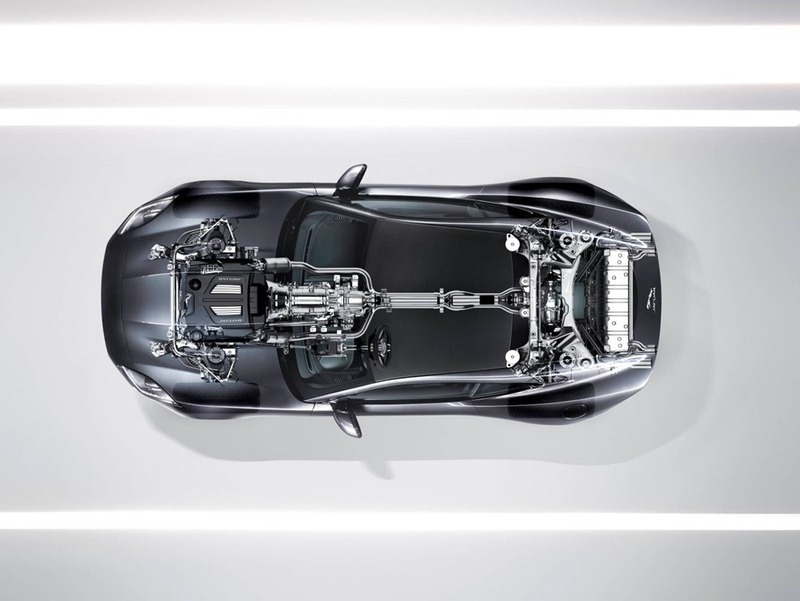 You associate the name Jaguar with luxury and sports handling so you won’t be surprised to hear the brakes, steering, clutch and suspension all feel precise and sophisticated just as it says on the box. Everything about the F-Type is beautiful. 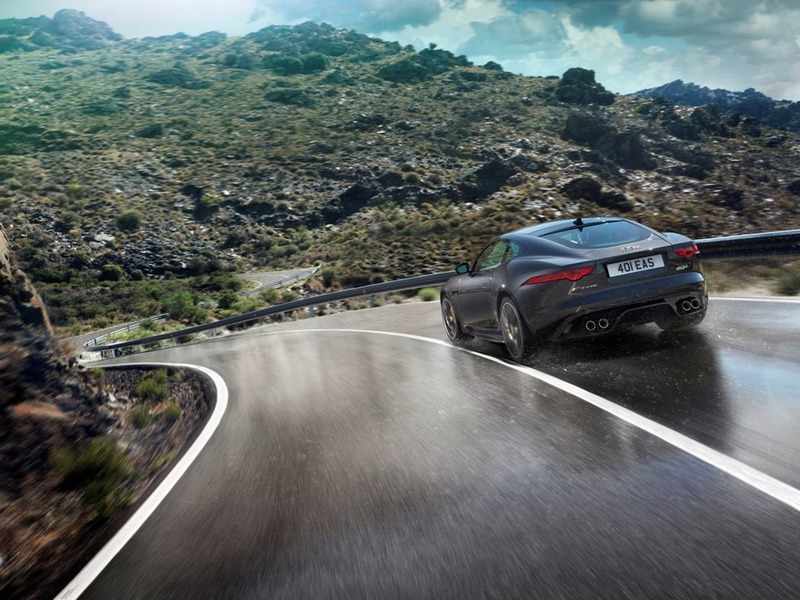 The Jaguar all-aluminium F-Type is a car for the person who can afford rewards without having to apologise for them. The curvaceous exterior and delicious cabin are made with the very best materials. Driving is a light and precise experience. We managed around 11.5L/100k which is more than respectable for a highly engineered high-powered sports car. We found ourselves getting stuck in just because we could. It sounded great, felt brilliant, and drove like Usane Bolt strapped to a rocket. F-Type has reawakened the halcyon days of motoring, and we like it a lot. Would I buy one? Oh dear god yes. Saw one yesterday and yes, it stopped me in my tracks in just the same way an E-Type did when I was a kid. Gobsmackingly gorgeous.